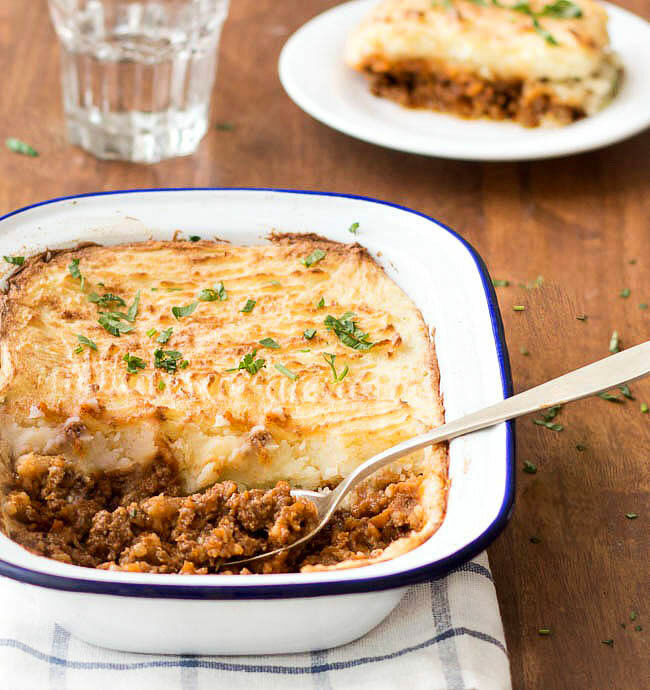 Cottage pie, a traditional British dish, is comforting and utterly delicious! 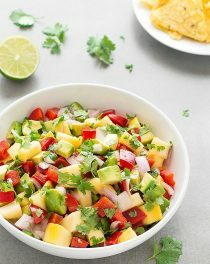 This is an easy recipe to make, affordable and freezes beautifully! Comfort food at its best! 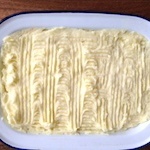 Cottage pie is a traditional English dish made with minced beef, topped with mashed potatoes and baked. Great as a warm meal on chilly autumn/winter nights. What most people call a shepherd’s pie is actually a cottage pie. Both pies are frugal dishes derived from the 18th Century where the poorer people, who lived in cottages, would make the pies from leftovers. 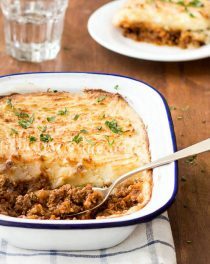 The difference is, shepherd’s pie is made with ground lamb and cottage pie is made with ground beef. 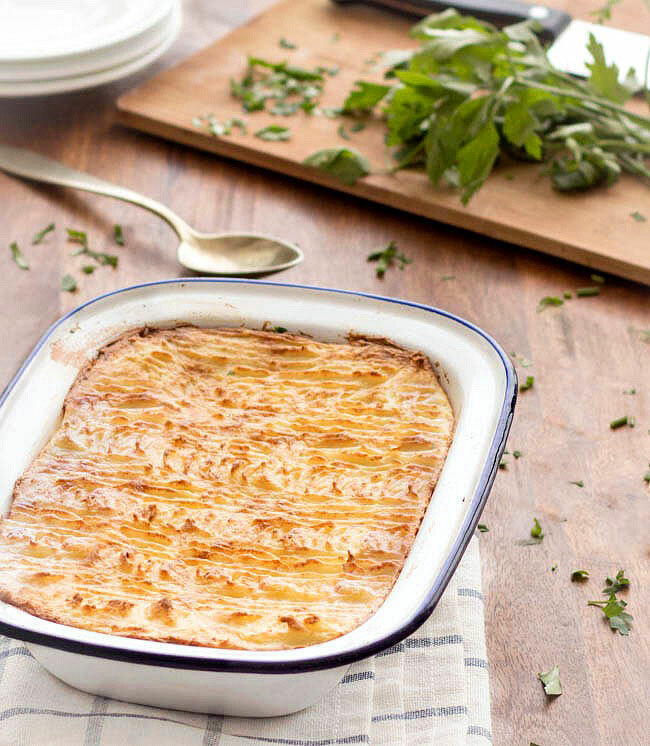 Cottage pie is deeply comforting and utterly delicious! It’s easy to make, affordable and freezes beautifully! 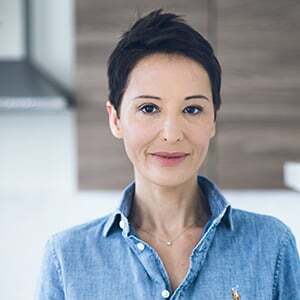 If you are pressed for time, you can prepare the filling a day in advance, the next day prepare the mashed potatoes and bake it. This recipe can be easily adapted. Put the carrots and onion in chunks instead of finely chopped, add mushrooms, peas, corn, different spices and herbs, top it with sweet mashed potatoes, etc. Use any ingredient that suit your taste! You can make it in a large dish or as individual portions in ramekins so that you can freeze some portions and have a ready-made meal on days when you don’t feel like cooking. What is your favorite comfort food recipe? Put the onion, carrot and garlic into a food processor and pulse until finely chopped. Heat the oil in a large saucepan, add the chopped vegetables and cook for about 5 minutes, until soft. 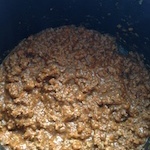 Add the minced beef and, using a wooden spoon, break up the mince so it is nice and fine. Add the tomato purée, Worcester sauce, cinnamon powder and dried mixed herbs. Stir to combine. Add the stock and bring to the boil. Reduce the heat and cover, simmering for 10/15 minutes. The meat should be cooked and not too liquid. While the meat is cooking, peel the potatoes cut into quarters. In a large saucepan, cover the potatoes in salted cold water, bring to the boil and simmer until tender (or cook them in the microwave for 15 minutes). When the potatoes are cooked, drain well then mash with the butter and milk until very creamy. Add salt to taste. 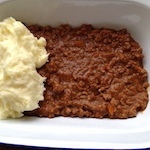 Spoon the mince into a large pie dish, then top with the mashed potatoes, smoothing the surface. Use a fork to run lines across the potato, this will go crispy once it's been baked. Bake for 20/25 minutes or until golden. Can’t remember the last time that I had a cottage pie! 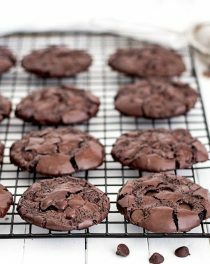 Think it’s definitely something that I need to make soon, thanks for sharing the delicious recipe and idea! Hi a handy tip I discovered. I make a big tray of Shepherd’s pie and then let it cool. Then cut it into portions put them on a cookie sheet covered in wax paper and place in freezer, Once they are frozen I put them in a ziplock and keep them for an easy meal. just pop one out of the freezer and you have dinner ! Thanks for sharing this recipe. Do you drain off the fat after you cook the meat? I usually use low-fat minced meat. But if you use regular minced meat it’s better to drain it off! I just made this for my British friend. He said it rivaled his mother’s and ‘you can make this anytime’! That is a great testament to a great recipe. Thanks so much for sharing it! One question, when you say mixed herbs, which do you use? I use these mixed herbs, you can find other brands too. This is a delicious recipe. I don’t usually use recipes but it’s about the same as I do. I add corn, carrots and peas. Also add a bit of tomato sauce or tomato paste to the meat while it’s cooking. (about half a cup). Add all the seasonings and let it simmer. When I make the potatoes I add a dollop of philly cream cheese, milk, and butter. Then I sprinkle cheddar cheese on top then bake. It’s a winner every time. Thank you.